It's a new Pop It Ups die! Hello everyone! 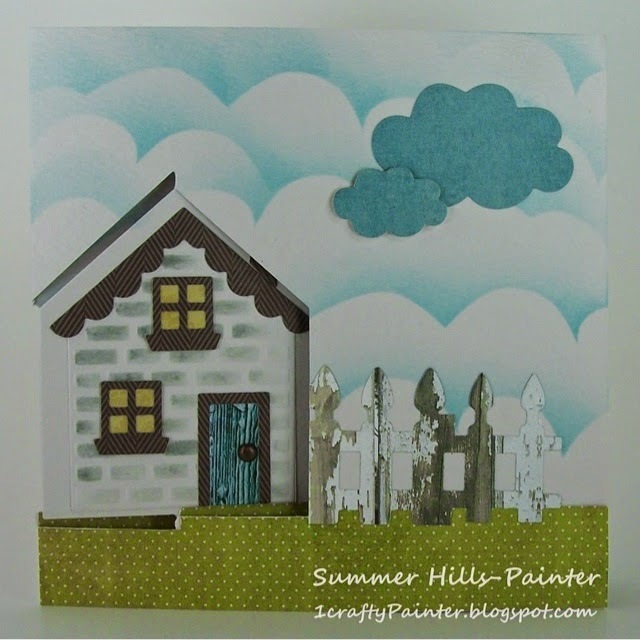 Karen Burniston has released another die! I love the new House Pivot card. Here is a card that I made. On the inside I added the All Seasons Tree as well. The sentiment was stamping using accessories from the Katie Label Pivot die. Happy Friday ... Be Fabulous! Hello everyone, I was playing in my work in progress craft room and had ago with my Pop It Ups. 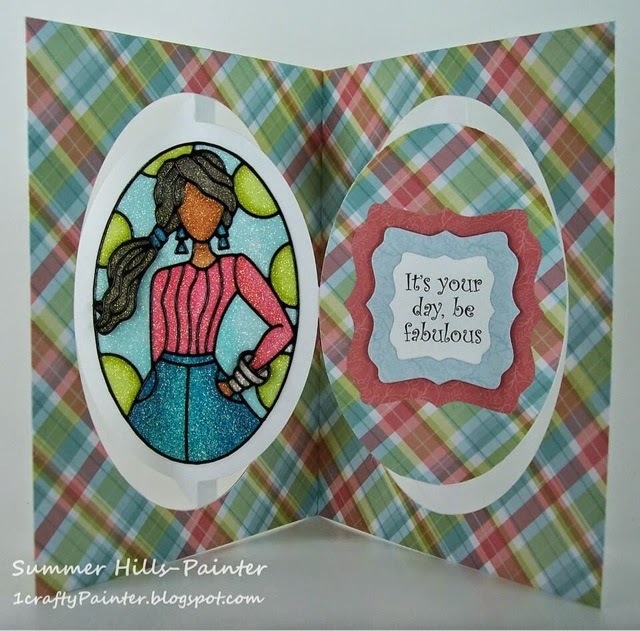 Here I have used the Oval Accordion Card die with the outline stickers. 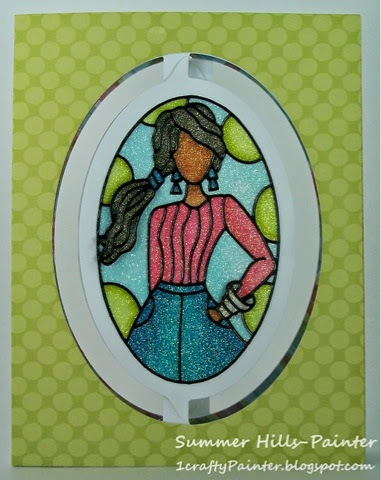 I used the Elizabeth Craft Designs microfine glitter and colored with my Spectrum Noir markers. And on the inside I used some of the Fancy Label Accordion Accessories to frame my sentiment. I wanted to play with some of the Elizabeth Cr a ft Po eel off stickers that fit the Karen Burniston Pop It Ups dies. Here is a second card for thisAccordioths challenge, mama's and babies. I have glittered the peel off with cool diamond glitter from Elizabeth Crafts. I used my Spectrum Noir markers to color the glitter. 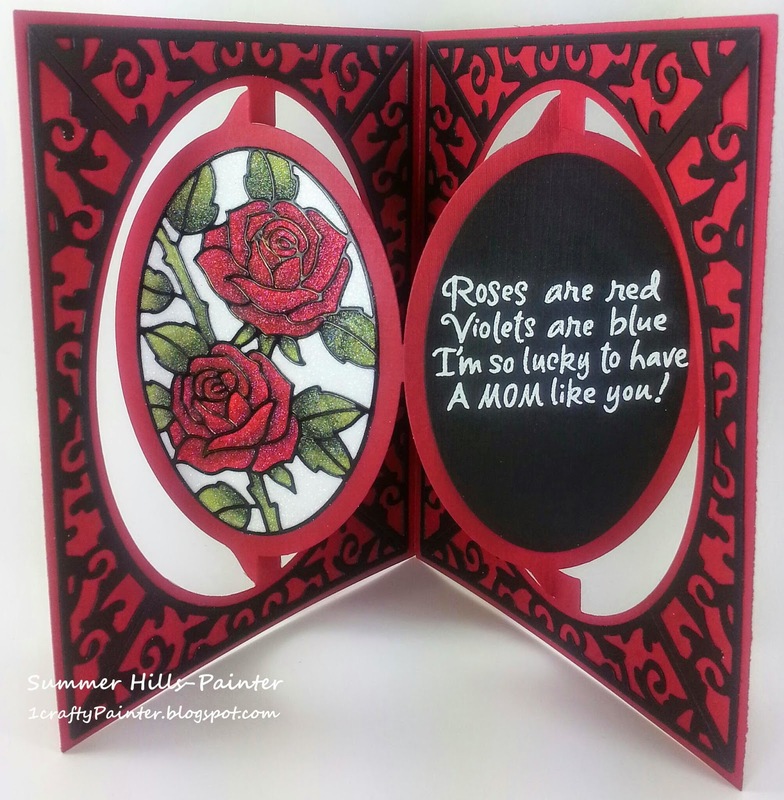 I used the Oval Accordion die for the card base. The Oval Flourish frame edges were also used. The sentiment is from a hero arts stamp set. Hello my crafty friends. I know that I have been MIA for a bit. I just finished moving and let me tell ya... I have lot of craft supplies. However, I made one box a priority to unpack. Can you guess which one? My box with my Pop it Ups dies of course. 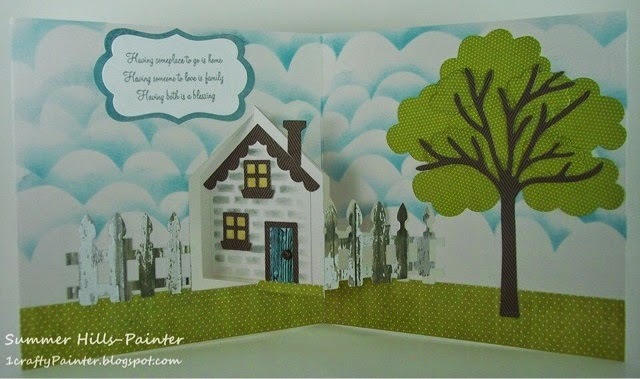 Here is my card for t his months challenge, mama's and babies. 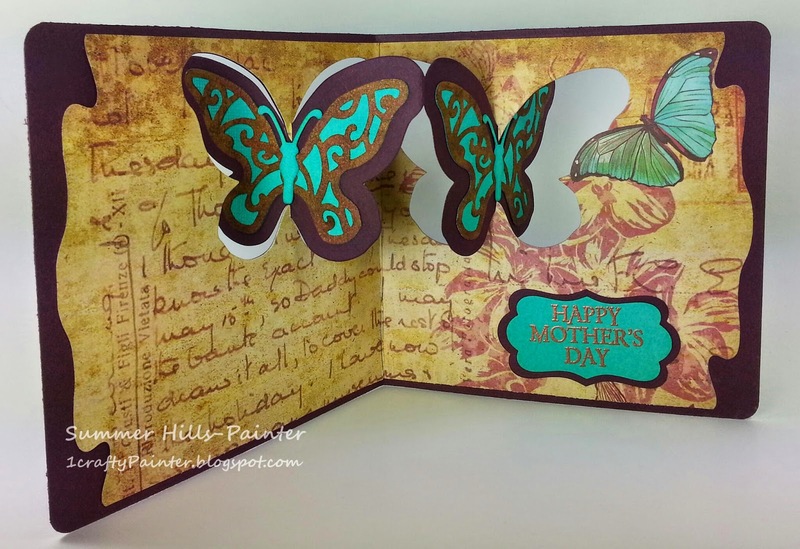 I used the Butterfly Pivot die for the card. I accented with the Agatha Edges. I also used the Katie Label accessory dies for my sentiment.